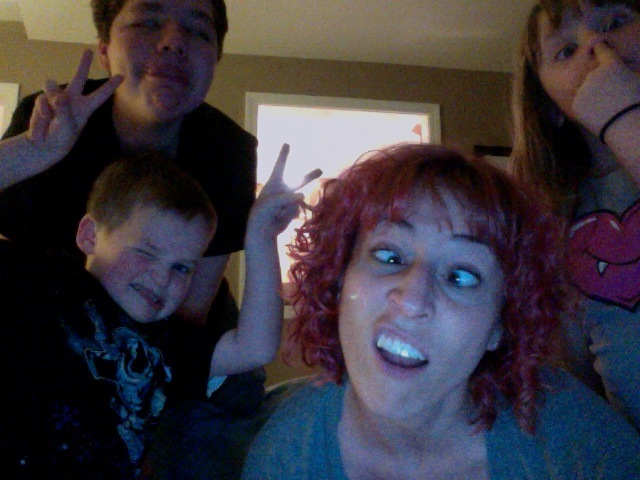 I was thrilled to have my niece and nephews in town a couple of weeks ago when they were on Spring break. It’s not just because I adore all six of my brothers’ offspring. It’s also partially because they rave about what I cook for them (okay, and because they make me feel like I am the coolest person on the planet). I’m generally at my niece’s beck and call because I’ve bribed her with her stomach. “Will you make your famous chicken soup for me?” was her first request for me, which is really just broth, noodles, lots of rosemary and some chicken sauteed in olive oil. I’m proud to say I’m helping them expand their culinary prowess, which is great considering they’re between the ages of 12 and 5. There was that afore-mentioned incident involving my eldest nephew and my magic pesto mashed potatoes. I’ve even tricked my older brother’s boys, who refused to eat fish, into loving my clam chowder. And tonight my niece called to tell me she’s proud of herself because she tried shrimp for the first time ever … and LOVED it. Heat your oven to 350°. Wash and dry the kale, then remove the stems and tear them into 2-inch pieces. Toss the kale in extra-virgin olive oil (I use Eureka Lemon EVOO from Devo), then season with Kosher salt. Bake until the kale is crisp, about 30 minutes, tossing every 10 minutes. Or, for a spicier version, stir together 5 Tbsp. Sriracha sauce and 2 Tbsp. EVOO and cook it the same way. Now go try them immediately! You won’t be sorry. Even loaded in olive oil, they’re only about 90 calories per serving. You’ll have a bunch of kale—which is loaded with fiber, antioxidants, calcium, and anti-inflammatory properties—downed in no time. Kristina introduced me to this and it is WONDERFUL! I hope you enjoy it.